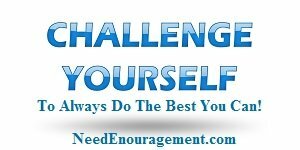 Take The Challenge For A Better Life! Share With 1 Video Challenge Click Here! I commit to doing a Random Act of Kindness and sharing my faith in God with someone! I encourage you to take the challenge! Here are some encouraging scriptures about difficulties in life. Take The Challenge If You Want To Change! You may ask why we decided to use a 7-day challenge? To answer that question, I would merely say that because we believe you can do almost anything for seven days in a row, it can be the start of a new habit or pattern in your life and some renewed ways of thinking and reacting. Old bad habits need to be changed, and that is where this challenge comes in. Take the strength to stand up for yourself and follow God at the same time. Take the challenge because if you can do something for seven days, it can quickly grow into a healthy habit that will benefit your life. Doing His will in your life is a lifelong challenge for all of us. The word of God shows us what we ought to do and what we need to avoid; it is not because God is a killjoy, but because He loves us and wants the best for us! Take the challenge of reflecting on your life, and decide what changes that you need to make to live up to your full potential. You will feel good about yourself because it is something that will influence the way you look at your life from now on, not to mention that others will see the difference in you, and ask you what you did to make changes in your life? Explain what does the truth mean? The term, “Job was blameless and upright” what does that mean? To ‘Run the race set before us’ means? Hebrews 12:1? What should we learn from the walls of Jericho falling? 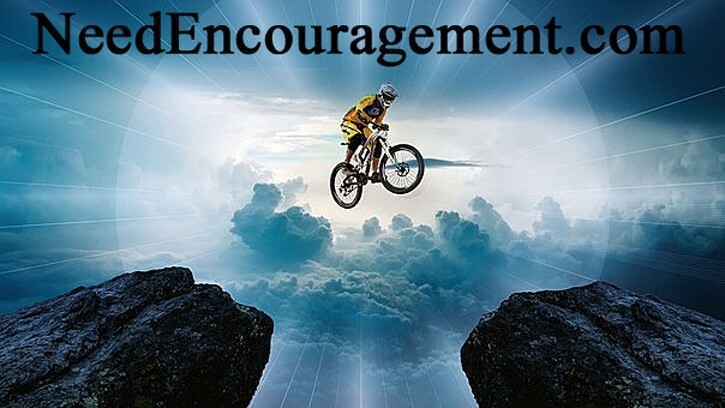 Do Not Be Discouraged Instead, Take The Challenge! The ultimate measure of a man is not where he stands in moments of comfort and convenience, but where he stands at times of challenge and controversy. ~ Martin Luther King, Jr.
Job 9:19 If it is a matter of strength, he is mighty! And if it is a matter of justice, who can challenge him? If You Think You Can Or Think, You Can’t You Are Right! Take the challenge, or you will remain in the same situation that you do not want to be in! Actively think about how being in a relationship with Jesus Christ would look like if you put your whole heart into it? Rededicate your life to Christ. Pray for friends, family members, and also strangers you see that are in the news who are hurting. Attempt to rekindle a relationship in your life that has ignored or severed. Decide to improve your life in some way. Go out of your way to do something nice without expecting anything in return. Take The Challenge Of Finding The Real Problems! Why Take The Bible Reading Challenge? Matthew 22:29 Jesus replied, “You are in error because you do not know the Scriptures or the power of God.